This sci-fi thing should get us thinking about the distant future. The future where the world would be technologically sophisticated and highly complex. The world will be so wired up. It will also be so integrated, physically and digitally, that we would find it difficult to separate and differentiate between “what is real” and “what is not”. The mantra of this new technological era will be “convergence”. The convergence of the physical and virtual technologies that would either be a blessing or a nightmare to some. It could either simplifies or complicates matters. Depending on their applications and the intended usage, it could be a boon or doom. not wanting to be left behind, are busily preparing themselves too in joining the race. But some contended that this intensely debatable topic: “Fourth Industrial Revolution” or “Industry 4.0”, is not entirely fresh or new. It has been around since 1940, based on a document titled “America’s Last Chance” by Albert Carr. Some were of the views that it has been made new or re-born by the WEF boss, Prof. Klaus Schwab. Using it as the central theme of the WEF 2016 Conference, he made it clear to the global business leaders, heads of state, public intellectuals, and NGO’s on the dawn of the new industrial revolution. So 2016 is the year that make public on the arrival of the industry 4.0., soon to replace industry 3.0. that emerged about four decades ago. and irreversible damages to our blue planet, earth. favoured incremental innovation and internal innovation in terms of their innovation strategy, quite a stark contrast to their global peers. It is also revealed talent remained the main challenge for the country. However, Malaysia’s future productivity growth is highly dependent on the capability of the workforce to innovate and apply advanced knowledge and technologies. The issue of human capital development is critical to ensure long-term sustainable economic growth and development. Looking back on the performance of first two industrial master plans, IMP1(1986-1995) has laid down the foundation for the development of the manufacturing sector, which became the leading growth sector of the country’s economy. IMP2 (1996-2005) with its two key thrusts, “manufacturing plusplus and cluster-based industrial development”, has somehow deepened the development of the manufacturing sector which led to increased value-added activities, enhanced productivity, greater industry linkages as well as growth of manufacturing related services. Now IMP3 aimed to improve the country’s global competitiveness by moving the economy up the value chain beyond the “middle development” stage to a more productive, value-added and knowledge intensive stage. We can see that the period of IMP1 is akin to the era of second industrial revolution with mass production at its core. While the period of IMP2 sort of reminiscing the age of third industrial revolution with greater automation and rising application of the digital technology. These industrial transformations in the last three decades is currently being spiced up with a tinge of industry 4.0. Advanced intelligent (AI) and robotics, cloud computing, the internet of things (IOT) and the like, including advances in biotechnology are some of the areas that are actively been ongoing in the recent years. Similarly, the new STI policy put emphasis on the importance of science, technology and innovation (STI), particularly in facing the rapid changes of a globalised and competitive world. Realising that innovation-led growth is central to propel the nation forward, it is imperative that STI be strengthened and mainstreamed into all sectors and at all levels of national development agenda. The clarion call by our Prime Minister at Global Science International Advisory Council (GSIAC) in London recently spoke highly on the needs for the country to be industry 4.0 ready. This call was reiterated at the recent National Science Council (NSC) Meeting in August 2016. The new STI Master Plan, now on the drafting table, will be without doubt, incorporate the industry 4.0 elements. For sure, the new STI Master Plan will be transformational and a game changer too. More importantly, the Plan’s prescriptions should be “characterized by a fusion of technologies that is blurring the lines between the physical, digital, and biological spheres”. Nothing less, we should expect. skilled-labour force. We should bear in mind that high-tech exports are products of high R&D intensity such as in aerospace, computers, pharmaceuticals, scientific instruments and machinery. anymore. Around 4 to 5 per cent growth will be the new norm for the country, others opined. 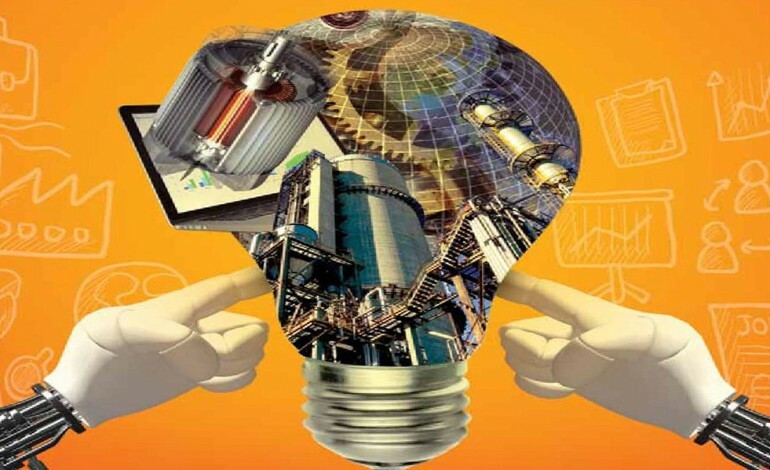 Nevertheless, one of the greatest challenges currently facing the country today is how to facilitate greater involvement of the private sector in driving economic growth in the age of Industry 4.0. Today we continued to witness some volatilities in world trade. Growth in world trade is predicted to be at 2.8 percent this year, lower than previous forecast of 3.9 percent by World Trade Organization (WTO). The same goes to the global banking and monetary systems which are still on the mend since 2008 Global Economic Crisis. 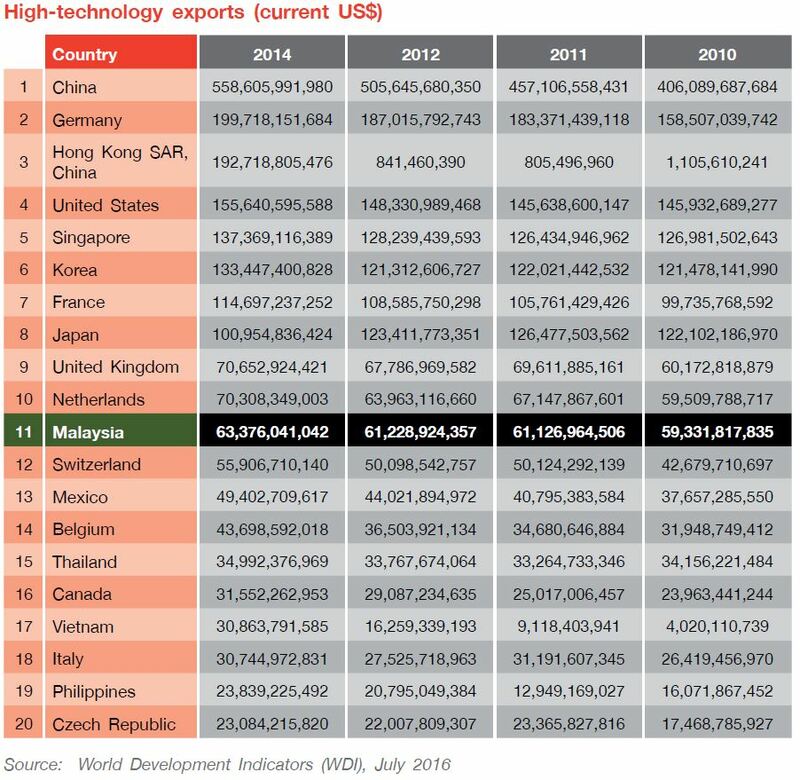 The impact of the global crisis is felt even today and is affecting Malaysia’s growth outlook and exports through the country’s exposure to the world economy via trade. This is quite a worrying situation since the manufacturing sector accounts for 75 per cent of the country’s exports and 30 per cent of GDP and employment. If services and other sectors are taken into account the overall impact will be much greater. Another big challenge for the country is that it aspires to become a high income country by 2020, a matter of five years down the road. Though the private sector has been identified as the primary engine of economic growth, a key challenge remains: How to get the private sector to be the real engine of growth in the fourth industrial revolution? It’s important contribution to new job creation, sustainable economic growth, creation of a new breed of entrepreneurs, and the development of a new economic landscape is beyond doubt. But the country must ensure that it is truly happening. In the current economic uncertainties, the building blocks for the country’s new industry 4.0 would initially needs to “stress more on an economy than could reduce the country’s vulnerability to the global economic crisis.” Within the scheme of the building blocks all angles must be covered. Ultimately, it should match perfectly with the 1Malaysia concept, a guiding principle to build a united and progressive Malaysian nation in the 21st century and beyond, as stated in the 11th Malaysia Plan. Its significance was once echoed by Prof. Edward C. Prescott, a Nobel Prize winner in economics and a member of the World Bank expert team, who was quoted to have said that “while the country was moving up, it needed the commitment of the people.” A daunting task though. Yet it’s workable, if we can rally the consensus of the people with the full commitments of the private sector. If that happens, Industry 4.0 is within our reach folks! 1 GE’s Global Innovation Barometer is an international survey which takes place across 23 countries, gathering perceptions of innovation in the world today. The recently compiled fifth edition of the barometer gathered insight from over 2,700 innovation business executives and nearly 1,350 innovation educated members of the public to deliver a comprehensive report on the global perception of innovation.